At Wilkerson Crane Rental, we’re all about making sure your project is raised right and that starts with a great plan. We provide a custom lift plan for each project we’re involved with to make sure you receive the right equipment and safety measures for your project. In order to build this plan, we need as much information as possible about the project, site and lifting requirements. Which is why we are excited to announce the launch of our new Hook a Quote app! This new web-based, interactive application provides our customers with a variety of features to make the planning process seamless. There’s a lot of information that goes into making sure a project is safe and completed correctly. Our new app will help everyone keep all the necessary information in a single and easy to access location. That means no more lost lift plans, missed emails or missing details while we’re planning your lift. 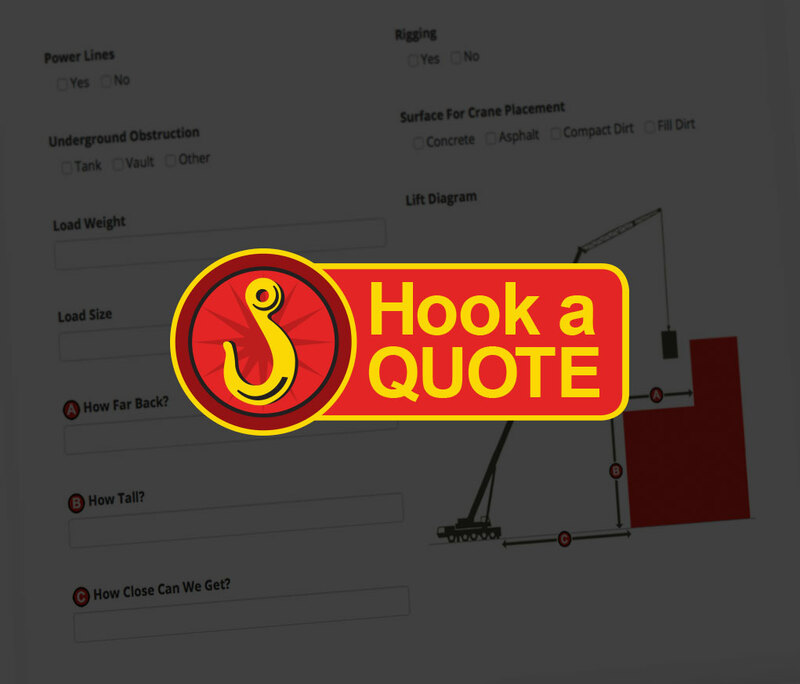 Within the Hook a Quote app, you’ll be able to create or be assigned to a user account with one or multiple users. Users and companies then have the opportunity to create and manage multiple projects within the application. Once you log in, you’ll have access to provide information, view lift plans and store all the important information for your project. You can access it across various platforms such as desktops, laptops, tablets and even smartphones. This ensures your information is where you need it when you need it most. Using the app is easy! 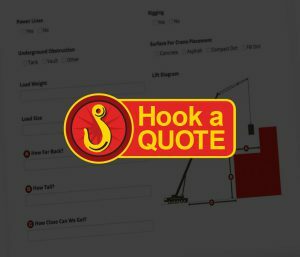 Use the Hook-A-Quote form to create a project. Your account will automatically be created, all your details will be saved for future reference, and you will receive a confirmation email. Each project starts with the information that you provide within the initial form. After you log in, you’ll be able to attach and upload documents to go along with all the information supplied within the form. It’s helpful if we are able to see any obstructions or obstacles such as power lines, other buildings, light poles or other items that could interfere with the lift. We encourage you to upload information on load weight, dimensions, information on the item being lifted, and any other relevant details. After we have all the necessary information, we’ll create a custom lift plan that includes the needed equipment and necessary safety measures to make sure your project is safe, on time, and on budget. Throughout the project’s life, all parties will be able to log in, make notes, and modify the project as needed to keep the information up to date and in one easy-to-find place. We encourage our customers to stay active in project files and share information as needed throughout the project. Wilkerson’s new Hook a Quote app is just another way for us to make sure your project is raised right, every time. We think the new app is going to help make sure your next project is executed in a seamless, safe, professional manner. The same way our previous projects have gone, just with a new 21st-century twist!